I have been really lovin’ gray anything lately. All the awesome shades of gray or even gray/mushroom are just so hot right now. BUT you can’t go wrong with gray because it is a neutral. It goes with any color you want to put it with. Gray can be cool or warm. I really enjoy it. Right now I’m trying to find the perfect color gray for my home, for our Great Room, so I was completely draw to all of this gray eye candy. I also figured I would just stick to Dining Rooms today. But I have plenty of eye candy for other rooms too, so stay tuned for those posts. I love how bright this room is. Awesome use of a mirror to reflect more light around the room. Love the use of the different chairs as well. Those are awesome looking head chairs. Simple & elegant. Another view of the same room. Adore the chalkboard on the wall. Nice touch to the room. And in this picture you can see the beadboard ceiling. Love that!!! 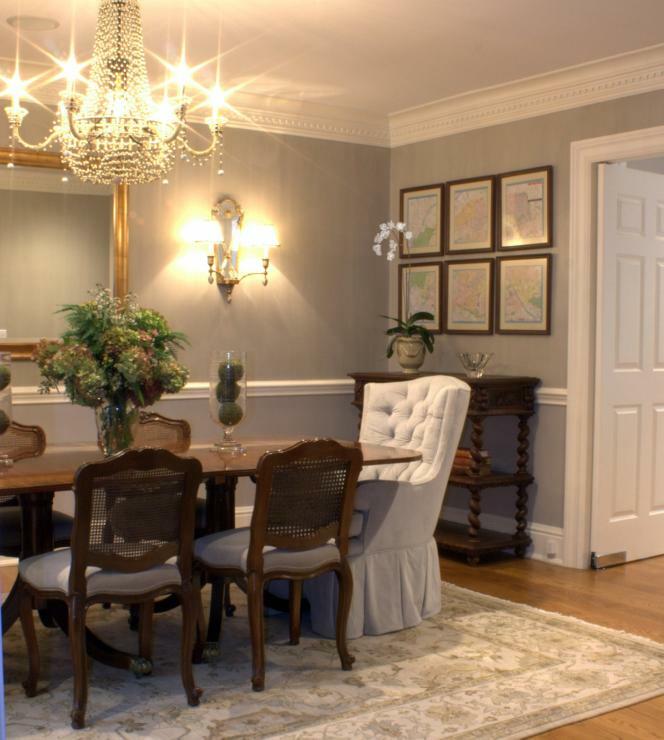 This darker gray color really makes this room very elegant and sophisticated. Love all the dark tones in the room. Really warm and inviting. Great entertainment space. 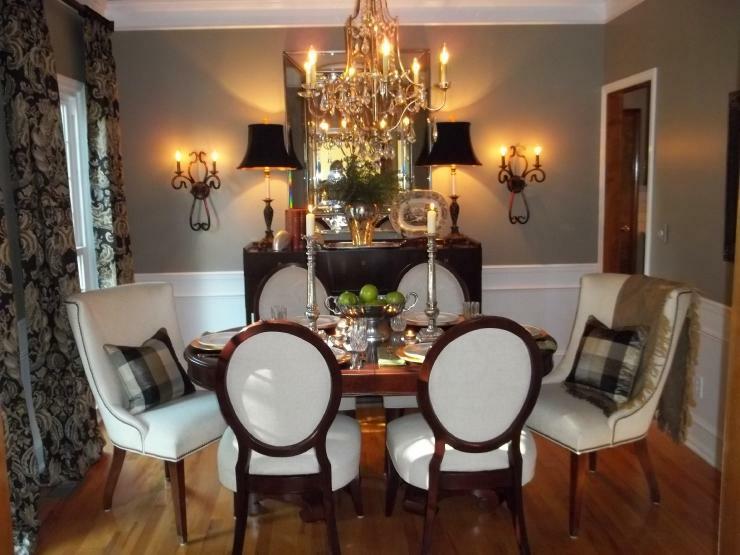 OK, now this Dining Room might not be for everyone, but I love it. Hot Pink with a splash of Turquoise. 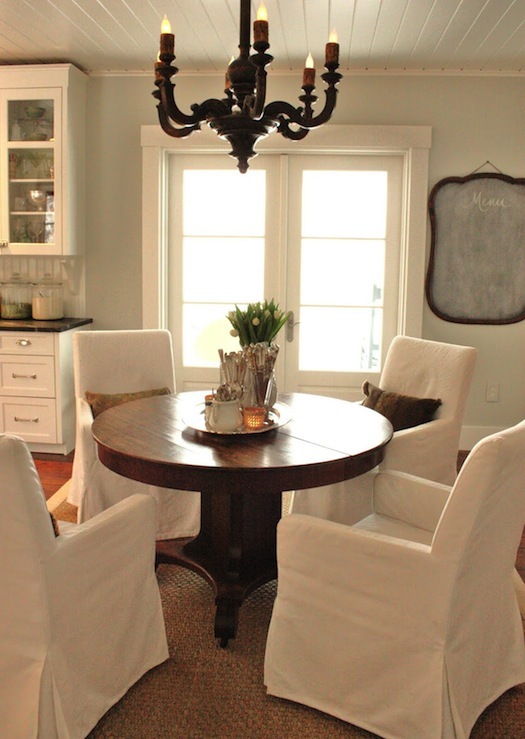 Gorgeous wood floors and table let those chairs take center stage in this room. Those floor mirrors are perfect in this room. 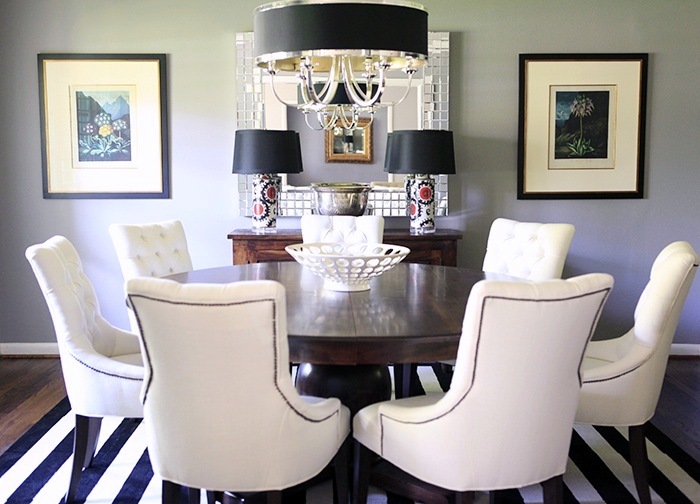 I love this gray color with all the black & white accents. 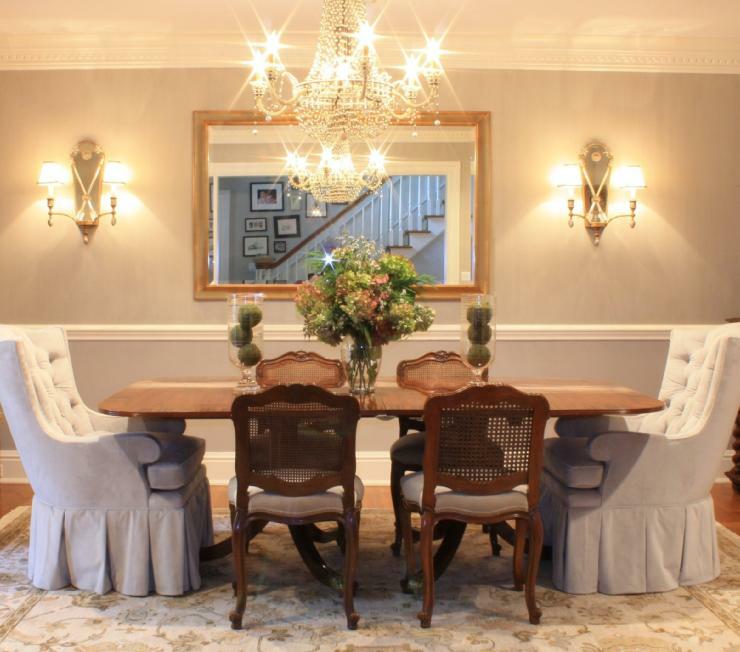 I adore this Dining Room from Centsational Girl. Love the slipped covered chairs with all the warm wood tones. The gray is a gray/green and I just think it looks awesome with all the white & darker wood tones. 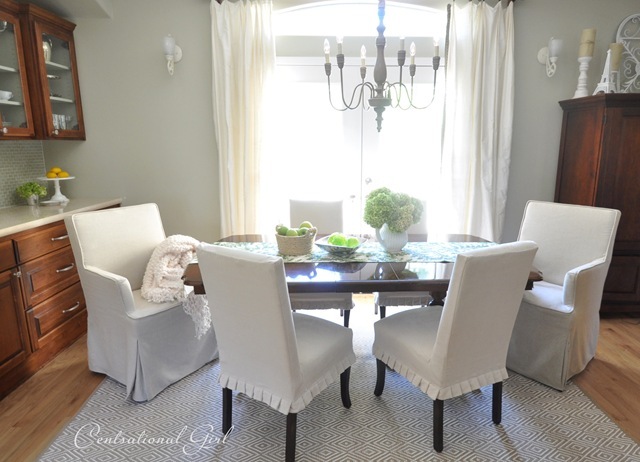 This gray/silver with the darker gray curtains and all the white…..just gorgeous!!! 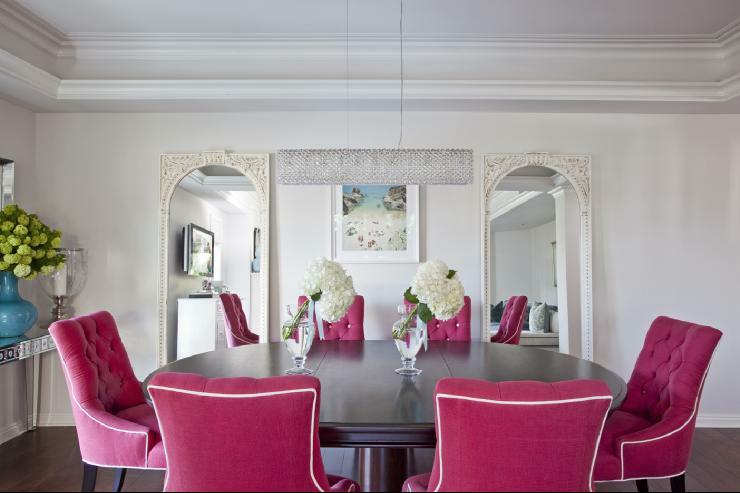 Slight pop of color with the light turquoise looking chairs and a pop of whimsical with the chandlier. Love it all together. This room just says come and sit down and stay for a long while. Very warm and inviting. Pillows on the head chairs. 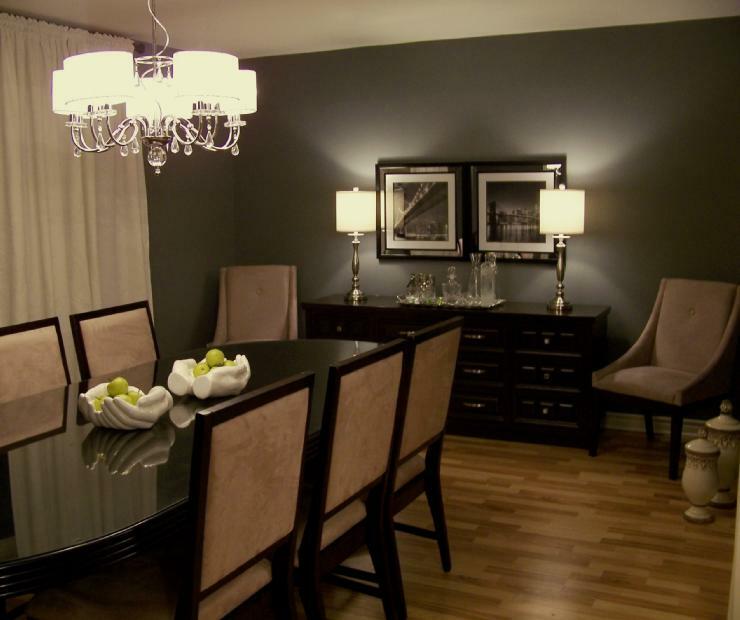 Love the darker tones in the room with the warm gray color on the walls. What gray or gray/mushroom is your favorite color? I would love some other ideas for colors. I’m in the mood to go and get me some paint chips. I want to paint our Great Room in the worst way. So let’s hear all those great gray colors out there that you love. What rooms do you have gray in? beautiful rooms!!!! 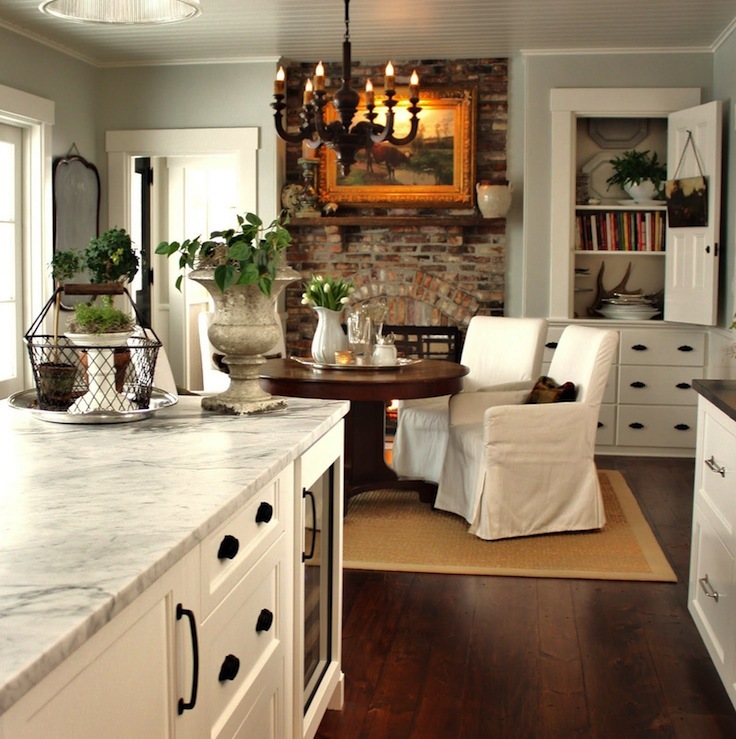 My fav is the one right off the kitchen, love it!! Lovely post! So happy to be a new follower!